Co-owners of property often enter agreements that include a right of first refusal. If one of the parties wants to sell their interest, and receives a bona fide offer, they must offer to sell to the co-owner on the same terms. Partition is a legal action which forces the sale of a property when co-owners cannot agree to another way to end the relationship. The right to partition can be waived by contract, either expressly or by implication. Parties entering a co-ownership agreement should consult with a Sacramento real estate attorney in drafting the agreement to ensure it will accomplish their goals, including waiver of the right to partition if that is what they want. In a decision regarding a Lake Tahoe vacation home valued at over $2.8 million, a truculent co-owner tried to argue that the right of first refusal waived the right to partition, but the court said no. If you want to waive all possibility of partition, you should clearly state that in your agreement. In LEG Investments v. Boxler, the parties were 50% co-owners of a house on the water in Carnelian Bay. 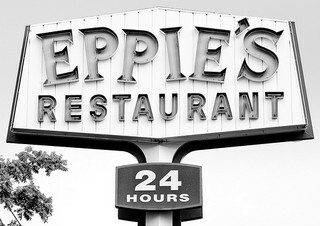 LEG was a general partnership, and Eppie Johnson (founder of Eppies restaurants and Eppies Great Race, the world’s oldest triathlon) was the general partner. The co-owners had a Tenant-in-Common Agreement, which included a right of first refusal. There were disputes between the parties immediately. Johnson complained that the Boxlers failed to clean the property and refused to pay for reasonable and necessary maintenance, landscaping, cleaning, and repairs. LEG offered to sell its interest to the Boxlers, but was declined. In 2005 LEG received an offer from a third party to buy its interest for $1.4 million. LEG, following the terms of the Tenant-in-Common Agreement, offered to sell its interest to Boxler under the same terms. Boxler refused. The sale to the third party did not close, presumably because his investigation of the Boxlers dissuaded him. LEG filed this action for Partition to sell the property, and have the court split the proceeds. Boxlers opposed, claiming the right of first refusal waived the right to partition. The trial judge agreed, but the Court of Appeals overturned the decision. The court of appeal first reviewed the law in this area. The original purpose of allowing partition was to permit cotenants to avoid the inconvenience and dissension arising from sharing joint possession of land. An additional reason to favor partition is the policy of facilitating transmission of title, thereby avoiding unreasonable restraints on the use and enjoyment of property. A co-owner of property has an absolute right to partition unless barred by a valid waiver. An agreement giving rights of first refusal to the other tenants may imply an agreement not to bring a partition action in lieu of a sale to the cotenants. The apparent purpose of a similar right of first refusal was “to retain for [the original parties] control of the admission of new co-owners.” Here, the Boxlers argued for a second purpose – it gave the non-seller cotenant the right to purchase the selling cotenant’s interest at the price of a fractional interest. However, the court found that interpreting this tenant-in-common agreement to allow partition after the non-selling cotenant has declined to exercise the right of first refusal, and the sale falls through, would not be contrary to either of these purposes. Since the third-party offer was for a fractional interest, it would have included a discount. If the no-selling owner declined to buy it at that price, they could not complaint if the frustrated owner brought an action for partition.